A total of $107,000 in college scholarships has been awarded to 79 students under a scholarship program initiated by Florida Farm Bureau Federation. Funding for the scholarships was derived from a 1998 Tobacco Settlement between state attorneys general and five major tobacco companies concerning the marketing of tobacco products. Thanks to Gov. Rick Scott and Commissioner of Agriculture Adam Putnam, a small portion of the remaining settlement money available for Florida has been earmarked for the program. 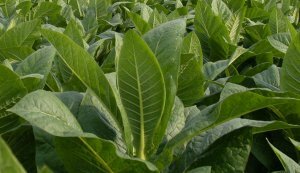 Current Florida flue-cured tobacco growers, former flue-cured tobacco growers and descendants of flue-cured tobacco growers are eligible to apply. Applicants were evaluated for classroom achievement, leadership skills and potential career success. The Tobacco Scholarship Program provides individual awards of up to $2,000. For more information about Florida Farm Bureau Federation’s Tobacco Scholarship Program, send an email to scholarships@ffbf.org.